“The Humane Rescue Alliance (HRA) is offering a $5,000 reward for information leading to the identification, arrest, and conviction of those involved in a tragic case of alleged animal cruelty. 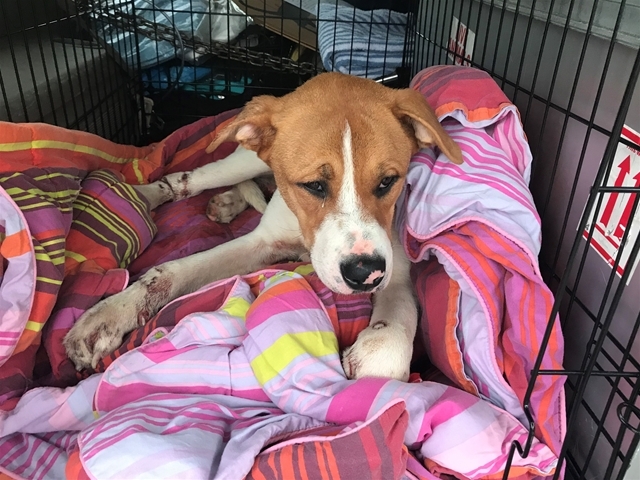 On Friday, January 4, HRA received a call about a dog who had been abandoned at Skip’s Liquor Store and Laundromat in NE: the dog had significant injuries to all four legs. Surveillance video (seen here) reviewed by HRA experts shows a man hitting the dog, possibly with an object, and then dragging her away from his vehicle before driving off.